Hawaii. Where to I begin with this one. Let me preface this blog by saying that I’m a homebody through and through. Every time I travel, around day 4 I’m ready to be back in my own space. On day 12 in Hawaii as the plane took off to head back home, I cried. Since being home I’ve felt a loss of being there, in a place I barely even got to know. But I think thats just what Hawaii does to you. I’m not kidding when I say that it was magical. It’s more than warm weather and beautiful beaches. The spirit of life is vibrant and electric, its no surprise why people continually go back and the lucky ones choose to live there. After a few days I was ready to sell my house, go barefoot forever and never look back. 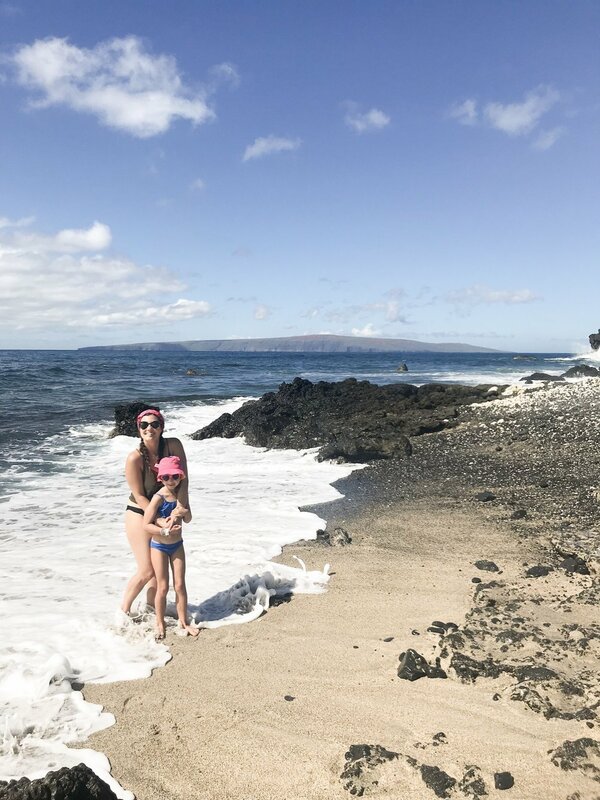 I hope that this blog gives you a little glimpse into our trip and inspires you to explore Hawaii! Below I’ve listed where we stayed, things we loved and things I wouldn’t waste your time on. AND a few tips on how we travelled around on a budget, because oh my goodness Hawaii is EXPENSIVE! Our flight got in around 5pm aka 11pm to our bodies so we decided we would stay close to the airport to sleep asap. We ended up staying at the Maui Seaside Hotel.. nothing glamorous, but a place to rest our heads. We woke up at 3am the next morning and caught the sunrise on a beautiful beach. Then we walked to Whole Foods, stocked up on groceries, packed up the Jeep and started our trip to Kihei! We loved Kihei. We were somewhat at the end of Kihei, right before you get to Wailea and directly across the street from Beach III which has the best sunsets according to the locals. This spot was excellent for getting all over the place. We went to Makena a few times for hikes, beaches and snorkelling. Went to Kihei for groceries, coffee shops and other supplies. And it was an easy commute to the main highway that leads you back to Kahului. Our 4th night we did the drive to Haleakala for the sunset. The drive was a little over 2 hours but you spend most of it driving up 10,000ft above sea level which makes for an interesting trip. Make sure you dress extra warm and bring blankets and snacks! Kihei was probably my favourite area that we stayed in simply because of the variety of activities that were around! Our drive from Kihei to Hana was great! We had a sunny day, great views and Colin had a hay day with all the single lanes, switchbacks and overall dangerous driving conditions. I was definitely happy we had a Jeep for this portion of the trip. We decided to split the drive into 2 days and spend the night in Hana. I’m not going to lie, this was a pretty boring night. We had no wifi, it was the loudest rain storm I’ve ever experienced and we went to bed at 9pm because there wasn’t much to do. The next day it torrential downpoured until we were well on the road and we got one good hike in at Waimoku Falls. It took us a few hours but it was well worth it to see the 400ft waterfall and walk through the bamboo forest! Our last airbnb in Kaanapali was by far the nicest. It was more of a resort style and Maddy reeeeally loved the pool. As in we had a fight everyday over how much time we were spending at the pool. The downside to this area is that the beaches close to us were not great. They were either rocky or the tide came in to high and you couldn’t sit on the sand. Instead we decided to explore Lahaina (not my fave), Kapalua, and the other surrounding areas. We found a great beach after a little drive called Slaughterhouse Beach and ended up spending an entire day there. This area wasn’t my favourite but it was still nice to visit this side of the island! Lava Fields (King Trail) So many tears, so many blisters. Food is expensive in Hawaii. The most cost effective way to shop for food is to visit markets along the road to buy your fruit and veggies. Other staples can be purchased at Costco, Safeway or Target. There is also an abundance of speciality independent grocery stores which is where we found most of our vegan favourites! ASK FOR A SOFT TOP. Seriously. Don’t get a hard top on your Jeep in Hawaii because that is silly. Don’t purchase touristy excursions, adventure on your own.